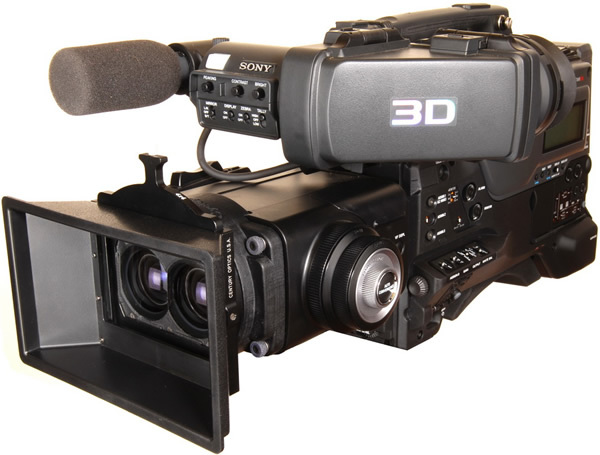 Cyclopital3D has launched a Pro Lens Accessory System for the Sony PMW-TD300 3D camcorder. This new line of accessories enables 3D content creators to use more varied techniques and equipment to produce fantastic new 3D content. The professional grade three-piece adapter system includes a Wide-angle Lens, a Filter/Close-up Adapter and a Stereo Base Extender. Having the ability to capture a wider field of view in a scene can often make the difference of whether a shoot is successful or not. The Wide-angle Lens (WAL) incorporates high-quality 3 element lenses which result in increasing the camera’s horizontal field of view (HFOV) from 47.8 to 80 degrees; 35mm EQFL changes from 40.6mm to 21.5mm. The WAL also includes a Lens Shade with one 4×4 pro filter slot, front and back lens covers and a carrying case. Every serious filmmaker and photographer understands the benefits of using polarizers and creative filters to enhance their results-and these new tools from Cyclopital3D make it possible. The Filter/Close-up Adapter (FCA) enables the use of close-up lenses and circular shaped filters, and allows for the use of a lens shade with one 4×4 pro filter slot. In 3D cinematography, the close-up lens allows for closer convergence on the subject and also increases the common image seen by both lenses, thus reducing the amount of image loss commonly experienced in 3D close-up photography and film-making. The Stereo Base Extender (SBE) is perfect for maintaining accurate depth portrayal when subjects are more than 15ft from the camera. The SBE uses perfectly aligned, high-quality front surface mirrors to effectively increase the stereo base from 45mm to 180mm. This lengthening of the stereo base allows you to get 4 times further away from your subject while still maintaining an optimal level of parallax. The SBE also comes with two custom designed lens hoods and lens covers and an optional 15mm rod mount clamp.